Review for Pandoras 32 Week P.h.D In Female Sexual Psychology, Expensive. Innovative with Potential but Needs Work on Implementation. "Expensive. Innovative with Potential but Needs Work on Implementation." Innovative and original material that was needed to be explored. Expensive at over $800 for the complete course (many complaints from customers about billing). Implementation advice not clear, needs more work. Marketing strongly over promises, disappointing buyer's of the product. The full Pandora's Box program is a very ambitious attempt to further the field of dating science. The direction is right, but it still isn't as effective as it needs to be to help you implement the advice. Without more clarity on how to calibrate to a different girl, what to do and specific actions the vast majority of men will have difficulty applying this effectively and making use of it. Under what condition should you buy this? If you are at a very advanced level, want to push the edge, and don't mind the over $800 price point - you could get some good value from this. Get ready to invest some time to work out the implementation yourself. This course includes the material from the basic Pandora's Box System that you receive immediately on purchase with The Ultimate Strategy Guide For The 8 Types Of Women (see my review on that part here). You should read that review first. In this review I discuss only the second part of the program, which is a course spread over 32 weeks with you getting access to new videos of women being interviewed by Brian Burke. 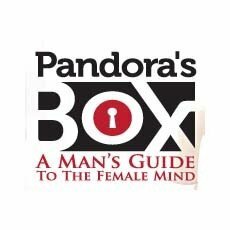 The women have been selected based on the Pandora's Box "8 Personality Types", and the purpose is to give you a better understanding of the base system. Brian Burke explores different aspects of their personalities. Please pay attention. When this product was launched in 2009 we had continuous complaints about the billing. These complaints come from people who didn't understand that when they bought this product they were being signed up for a weekly subscription to Pandora's Box 32 week PhD in Female Sexuality. It is charged $24.77 per week ($99.80 each month, billed at beginning of the month) and the first payment is charged to your credit card 14 days after purchase of this product. To be clear: You pay $69.95 when you sign up, then 14 days afterwards you will be billed $98. Then 1 month later you will be billed $99.80 again. This continues each month for 7 and a half months. The total cost of the program ends up at $818.45. Dicarlo DiClassified showed us how they have made an effort to make this clear on their sales and billing pages (which indeed pass FTC policies and follow the guidelines on these types of subscriptions). Nonetheless they say themselves they still get around 15% of their cancellations attributed to the issue and we continue to hear from customers who are 'surprised' to find these bills on their credit cards and don't know how to stop them. To conclude, read carefully what I have written above to avoid those nasty credit card charge surprises, and if you buy it keep your support emails sent to you on purchase so that you can cancel easily if you want to later. This course contains around 20 hours of content to study. It is the largest course I've ever seen for dating skills. The reason it has so much content is because most of it is made up of interviews with women, that go from between 20 minutes to 30 minutes in length. Once per month on the program you are given a bonus with audio, PDF or video content to study. This is given the week you are billed with your next monthly payment. This training is spread out over 32 weeks - so you are investing around 1 to 2 hours a week in the program on average. For many guys this is probably manageable. For me personally this was a downside. Because of the interview format, the training is made pretty 'time inefficient'. Instead of getting straight to the point, you watch and learn from observing and listening to the women discuss topics given to them by Brian Burke. This couldn't have been helped if the interviews were well run. At times, however, Brian seems unprepared for the interviews and he doesn't take control to bring the interviews to the relevant subjects when the girls wander to irrelevant subjects too much. An example would be where one girl gets into specific details of the facial features she particularly likes, describing the strong eyebrows that attract her, for instance (1 minute discussion). There are numerous. I watched the first 6 weeks of videos and find them to be very time consuming with little directly implementable information. It's a nice idea to interview women from each of the 8 personality types. It does make the personality types come alive with real women and in that sense is practical. However, unless you at an advanced level already I think you'll find it hard to make use of this. Women - rarely - discuss directly in a way that reflects reality their sexuality, attraction and related topics. Studies by marketing researchers over the last 100 years show that what people say, doesn't reflect their behavior or what they do in general topics. The gap between what is said and what is done is far greater when it comes to more repressed subjects like sexuality and sexual choice. I didn't find these videos to be any different. I could see the differences in the women, what was behind what they were saying - how they are different and will respond differently - but I've been studying and experimenting with dating advice for over 10 years. Would you see through and behind what the women are saying? That's a key question you need to ask yourself, because it will determine how valuable this training is to you. The quality of the program videos and documents is very high. It's all well put together, and care has been taken over the packaging. You won't be disappointed with the presentation of the product - it's a very professional job. The marketing for this program is pretty aggressive with what it promises. This is not that unusual for products in the dating advice market, and is unfortunate. If you are going to buy this make sure to read these reviews about the real potential of the product, rather than accept what the marketing and sales videos tell you about it. Be realistic about what you could get out of it. This is an interesting program with some insights about women, but it is no "magic bullets". Magic bullets don't exist. If you of an experienced level there is value to be got from this program from study, and experimentation. I know that experienced / advanced guys are more realistic about what they can get for these programs - so i'm not worried about them getting 'taken in' by the marketing so much. So this message is for you if you are new to dating advice and inexperienced with women. As I've mentioned in the main Pandora's Box program review - this program isn't well adapted for you. Check through our beginner's rankings for programs that are a better fit for you. The full Pandora's Box program is an ambitious attempt to further the field of dating science. The direction is right, but it is lacking in implementation. Without more clarity on the advice for implementation and specific actions the vast majority of men will have difficulty applying this effectively and making use of it. Under what condition should you buy this? If you are at a very advanced level, have the time to invest, want to push the edge, and don't mind the $800 plus price point - you could get some value from this. Get ready to invest some time to work through implementing it properly yourself.